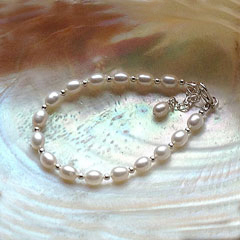 High grade white freshwater pearls and sterling silver beads are mixed together for a super glamorous look. 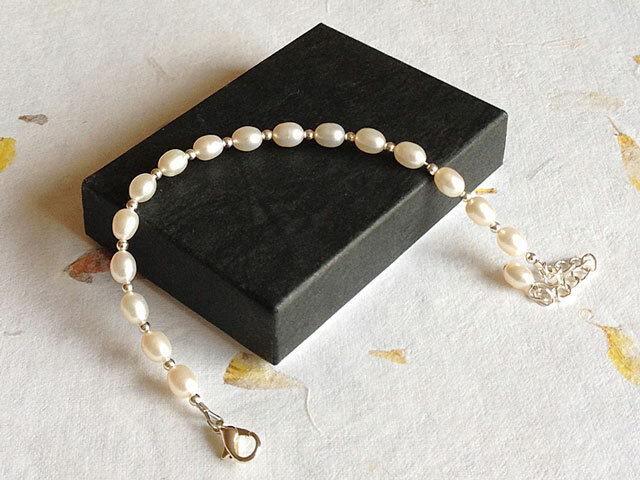 Fabulous for your wedding jewellery and for gifting as it's adjustable. Options: contact sales@kyrenedesigns.com for a matching necklace. And this style can also be made with 14ct gold fill. Check the sizing page to find your correct wrist size.